Think of Ayrshire Roads Alliance and there’s a chance you’ll think, potholes, but not only do we look after the public road network throughout East and South Ayrshire but we also look after Girvan Harbour! Girvan Harbour has 36 pontoon berths and is also home to the Girvan Lifeboat Station. 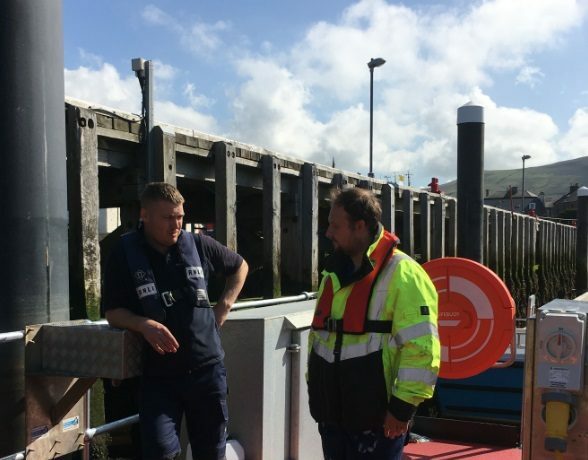 Our resident Harbour Master contributes to the smooth running of Girvan Harbour, From monitoring and guiding marine traffic to being the initial point of contact for any vessel owners wishing to berth, obtain fuel and supplies.